Endless Possibilities The Process Is Easy! The United States Seamless process starts with our consultative sales approach. Our experienced home improvement specialists will work with you to find solutions to enhance your home’s integrity, energy efficiency and curb appeal. 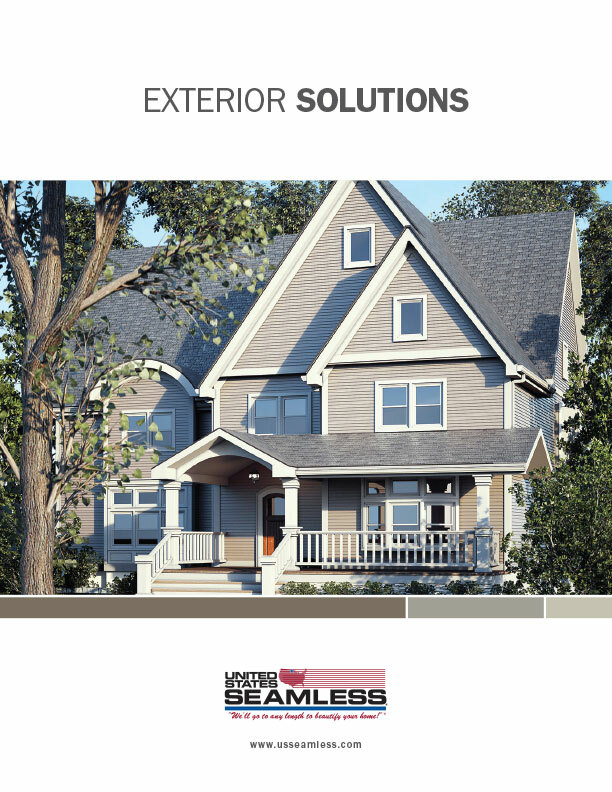 United States Seamless steel siding is custom manufactured on location. 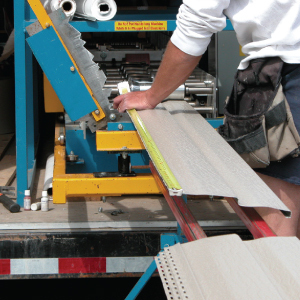 Our trailers contain our innovative roll-forming equipment and tools. 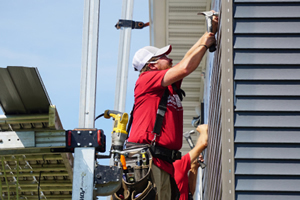 Our professional installation teams work year-round to install seamless siding – whether it’s winter, spring, summer or fall. Our trailers are heated, so cold weather is not an issue. Whatever season you decide to re-side, know that we pride ourselves on our superior craftsmanship. Working with a United States Seamless franchise means you’ll have peace of mind knowing there are standards for installation and certification courses for installers. Our installers are experienced and understand the many critical steps involved in installing your new siding properly. We offer intense hands-on training and certification courses to ensure that they are current on installation methods and techniques. Safety is something United States Seamless doesn’t take lightly. You can be assured that we will keep and maintain a clean worksite. We take precautions to preserve your landscaping, secure equipment when not in use and use magnets to keep landscaping free of debris. Our equipment and machines are certified and our installation crews go through regularly scheduled safety training. Not only will we provide a safe work environment for our employees, but we will also ensure our customers’ safety, as we abide by EPA regulations on Lead Safe Renovations; our dealers are trained to follow the EPA’s guidelines. Your coverage doesn't end with our warranties. Our dealers are licensed, insured and bonded. They are in good standing with local communities and highly rated by the Better Business Bureau.